The Liberal Party and its financiers teach us how we can plunder the country and emerge from it scot-free. 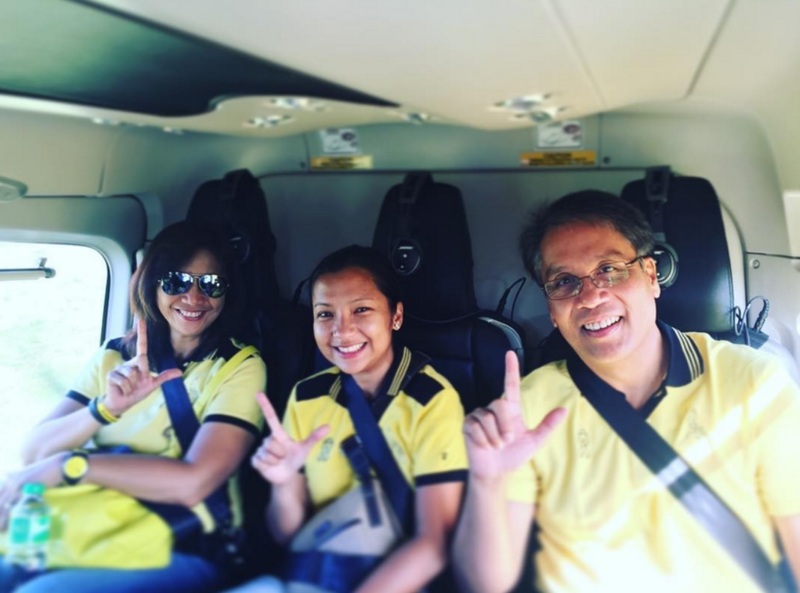 The issue started with a Philippine Star article that criticized Roxas’ use of campaign planes owned by illegal miner Eric Gutierrez. Then it got bigger. A lot, lot bigger. A little googling shows shows Gutierrez’s family owns SR Metals Inc that operates nickel mines in Tubay, Agusan del Norte. Meanwhile, Liberal Party Spokesman Edgar Erice is one of the company’s incorporators and served as its president in late 2000’s. Since 2006, SR Metals has been mired in various controversies, including Lumad killings, environmental destruction, militarization, circumvention of mining laws, among others, research shows. In this period, SR Metals overextracted ores by almost 40 times the legal limit set by their “small-scale” mining permit. The firm earned Php 2.9 billion in the process. Tubay locals have constantly called for government action against SR Metals, but their calls fell on deaf ears. In an ideal world, top honchos of the Liberal Party, along with SR Metals officers, should have been charged with plunder. While some legal nitpickers will argue that SR Metals officers are private individuals and thus are not covered by the Plunder Law, the fact that the LP itself successfully charged Janet-Lim Napoles with plunder quickly debunks that claim. Instead, these people are walking freely today, with some of them holding the highest government positions in the land, and one of them is even running for President. The Thinking Pinoy (TP) asks: How can one get away with plunder? To answer that, let TP give you a timeline of events from the start of SR Metals’ Tubay operations up to the most recent developments. March: DENR issued SR Metals a small-scale mining permit in 20-hectare site in Tubay, Agusan del Norte. Annual extraction limit is 50,000 tonnes of ore [Supreme Court (SC)]. August: Tubay locals stage anti-mining demonstrations, leaders were the local Parish Priest, Tubay local Atty. Fortun Carlota, and town councilor Alejor Page. 8 were hurt in the ensuing government-initiated dispersal. [Philstar]. November: SR Metals appealed closure in Court of Appeals (CA) [SC]. SR Metals continued operations throughout this period. 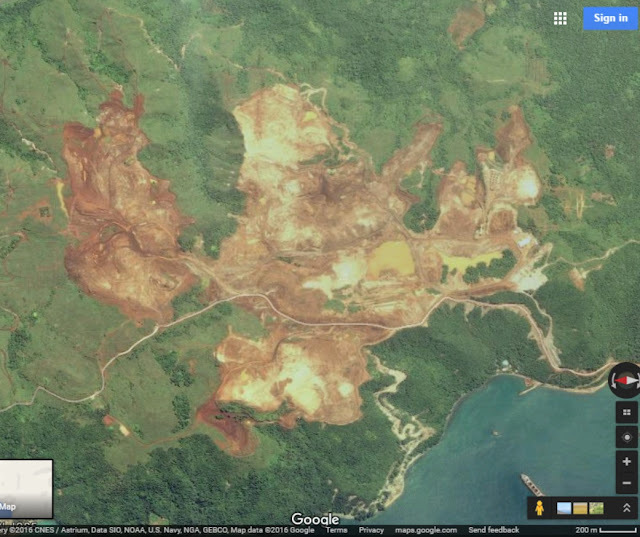 SR Metals' "Small Scale" Tubay Mining Site: 5 square kilometers, twice the size of Pateros. July: Reyes removed from DENR [Philstar]. July: Former Manila Mayor Lito Atienza becomes DENR Secretary [Philstar]. 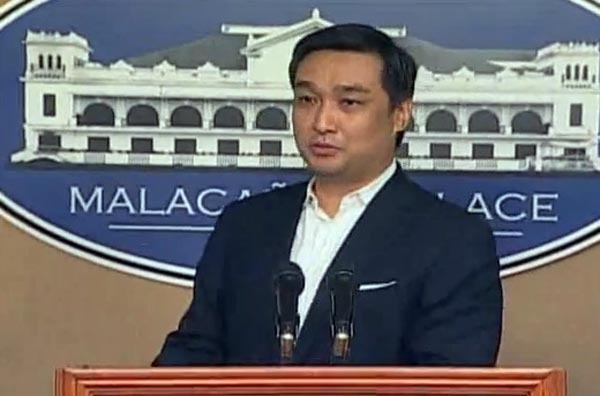 July: CA affirmed DENR decision, ordered SR Metals closure, case raised to SC [GMANews]. December: Plunder charges filed against SR Metals and company president Edgar Erice [Interaksyon]. March - New DENR Sec. Atienza issues SR Metals large-scale mining permit, mining site increased from 20 hectares to 572 hectares [Government Catalogues]. March: SR Metals resumes Tubay operations [Mindanews]. October: Lumads claim S.R. Metals has yet to pay them any single centavo in royalty fees [Philstar]. February: SR Metals owner Eric Guttierez becomes campaign financier for Liberal Party presidential bet Benigno “Noynoy” Aquino III and vice-presidential bet Manuel “Mar” Roxas II [Manila Times]. May: Aquino wins presidency, Roxas loses to former Makati Mayor Jejomar Binay. May: Lumads urge Aquino to investigate SR Metals for illegal closure of public roads, illegal dismissal of workers, failure to provide proper relocation site for displaced residentss, and non-payment of business taxes and other fees [People’s Journal]. July 19: “Official reports” states Atty. Carlota was accidentally run over by his own vehicle [Bombo Radyo]. December: SC Chief Justice Renato Corona, an Arroyo appointee, was impeached in the Senate and consequently removed from office. [Inquirer]. June: Gutierrez accompanied President Aquino in his US and UK trips, where he was included in the group of “Top 26 Filipino businessmen” that comprised official Philippine delegation. [Rappler]. December: PCDSPO Secretary Ricky Carandang was reported to have plans of becoming the Head of Corporate Communications for a Gutierrez company after his resignation [Manila Times]. January: Carandang reported to be working for Air Juan, a Gutierrez-owned company and the registered owner of the Roxas’ fleet of campaign planes [Manila Times]. December: SC clears way for plunder charges vs LP spokesman Edgar Erice [Manila Standard]. January: SR Metals receives “environmental award” from Malacanang, handed by President Aquino [SunStar]. February: Records show Gutierrez’s Air Juan planes are tax-exempt, a privilege accorded to no other airline company [Interaksyon]. If a dissident is relatively insignificant, murder them (Carlota and the 68 Lumads). If they’re too influential to be murdered, fabricate court cases against them (Tomaneng, Cabonce). If they’re too influential to be sued, have them removed from office (Omb. Gutierrez, DENR Sec. Reyes, Chief Justice Corona). Most government officials are corrupt (e.g. Merceditas Gutierrez, Corona) so it’s easy to dig up issues against them and use them as legal ammunition. Interesting Realization: If Thinking Pinoy's real identity had been out in the open, I guess this entire blog would have lasted for a full week at best. Why? Because I can't blog when I am dead, right? Be President (Aquino) so you become the head of government and chief of Armed Forces. Be the DILG Secretary. (Roxas) to gain control of the police and local governments. Be the Budget Secretary. (Abad political dynasty), so you can control all other agencies through your power of the purse. Be the Senate President (Drilon) and House Speaker (Belmonte). Bankroll your politician-friends (SR Metals finances LP slate). Enhance and maintain political connections (SR Metals hires Carandang). Maintain working relationship by regularly exchanging favors (everything else in the timeline). 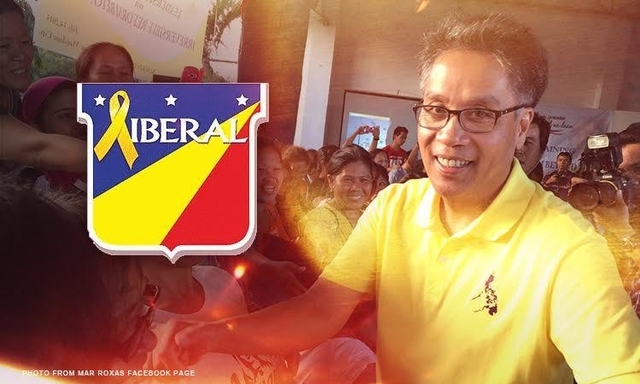 Make sure that next president is also from your own political party (Roxas). If the candidate seems unwinnable, resort to plan B, which is to make amends and manipulate another person who shall become your back-up candidate. (Grace Poe). She's politically inexperienced so it will be easy to manipulate her, in the same way Chiz Escudero manipulated her to run for president so he can be on top of the VP rankings. So that, my readers, is how to get away with plunder.